Pre-orders for Nokia’s snazzy new Windows Phone 8 handset, the Lumia 920, are starting to creep in. So far, we’ve captured reports that Chinese and German retailers are now taking in requests. Today, we’ve got confirmation that fans of the Nokia Lumia 920 in the UK can now also make reservations for the device. “The new flagship device from Nokia is here – the Stunning Nokia Lumia 920. The handset has an 8 megapixel camera and a secondary forward facing 1.3 megapixel camera too. 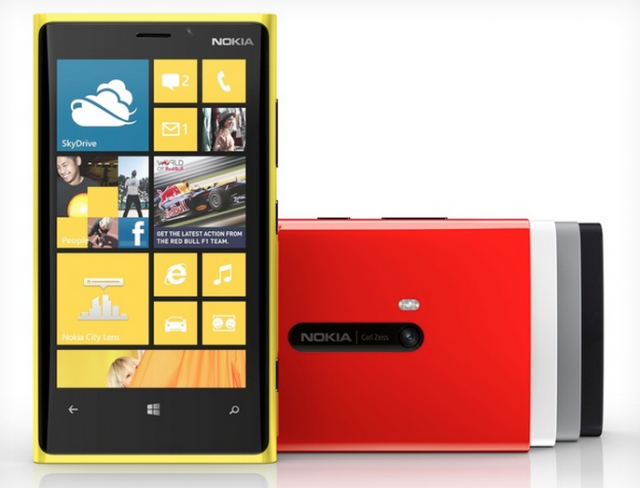 Digital Phone Company lists down the Nokia Lumia 920’s contract-free price at £469.99. Converted, that means the Nokia Lumia 920 costs around $760. The UK price falls right in the middle of Germany’s $961 and China’s $512 but still several hundred dollars more than what I would personally be willing to pay for it. At this point, it’s still unclear as to how much the Nokia Lumia 920 will cost but it’s possible that the Chinese estimates may be too good to be true. I have to say though that if Nokia decides to price the phone at more than $600, what was once an instant-buy suddenly becomes a much harder decision, especially with the iPhone 5 and Galaxy Note 2 available at more or less the same price. Would you still be willing to get the Nokia Lumia 920 if the UK pricing proves to be correct? Is there anything Nokia can do to make sure that you grab their Windows Phone 8 flasghip device? Let us know in the comments below.